Αντιγράψτε το μήνυμα σας SHA1 χωνέψει από εδώ. How to allow SHA1 hash function in chrony? How could I set up the SHA1 hash function? The function needs to work on an XP workstation with Excel 2003 installed, but otherwise must use no third party components. It can reference and use DLLs that are available with XP, such as CryptoAPI. Does anyone know of a sample to achieve this hashing functionality? I have this two function in php. I am trying to write this two functions in node js. Here is something I tried. But they both produced different results. In my app there is a facebook login. I would like to add an Android app to my facebook app which needs a hash generated with the keytool from the keystore file. 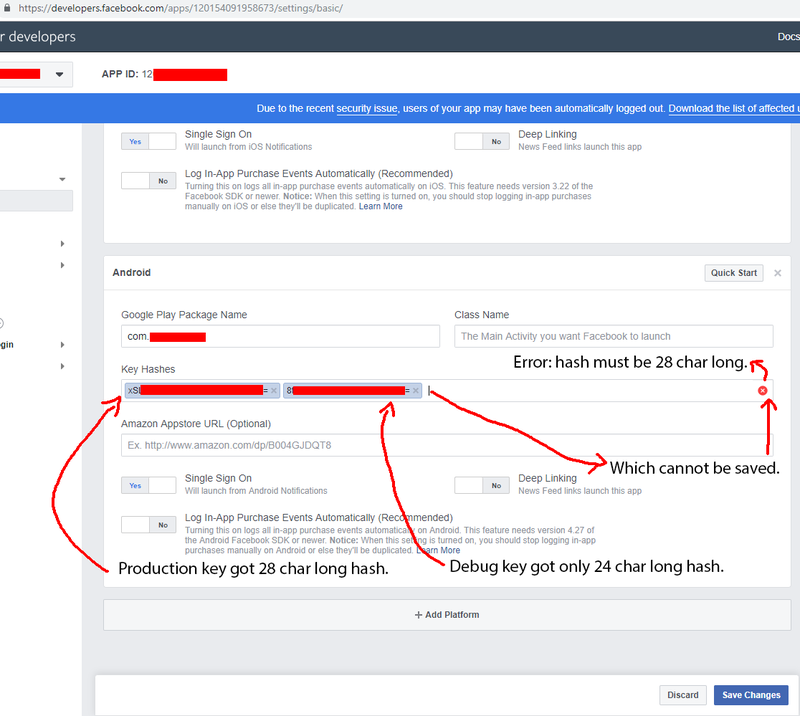 I can successfully generate a 28 character long hash from my production key but if I run the same command on my debug key, (which is the default android debug key) it only generates a 24 character long hash, which facebook does not let me input. In the picture you can see that facebook doesn't let me enter other than 28 char long hash.